When was the last time the New York Giants had a top-tier linebacker? Maybe in 2008 when Antonio Pierce was prowling the field for unfortunate victims. The truth is, the linebacker position has been neglected for years, especially when former general manager Jerry Reese was in charge. But, times are changing, and GM Dave Gettleman is slowly upgrading the position with value players. If the Giants choose to pass on a quarterback in the upcoming draft, they could look to address the defensive side of the ball with a Saquon Barkley-like impact player. 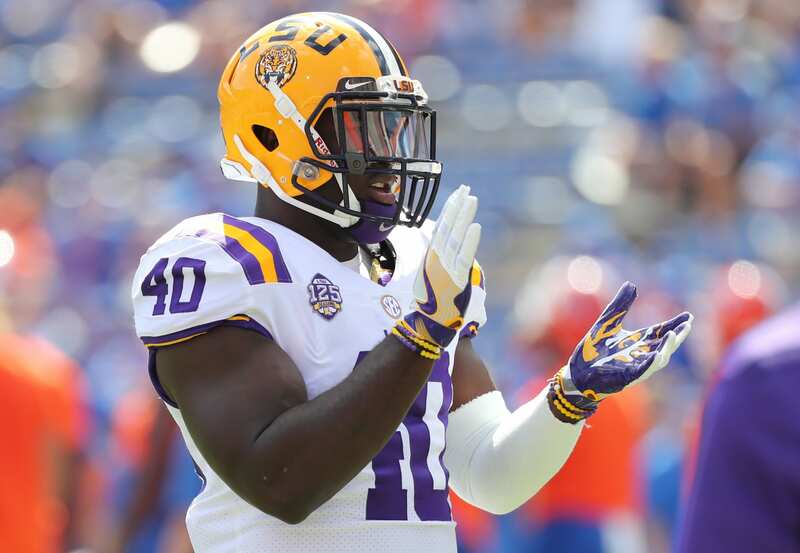 Linebacker out of LSU, Devin White, represents not only a leader but a strong, physical playmaker. He had a brief 15-minute meeting with the Giants at the NFL combine, according to NJ.com. The bottom line, White is hungry for victory, as he despises losing to a degree that sparks a fire within that wills him to success. His ability to make tackles around the field and find ways to impact the game consistently only attests to the type of player he really is. White is a born leader, capable of dominating the game on all levels and conducting his teammates on the field with efficiency and authority. The LSU product racked up over 120 tackles in two consecutive seasons with the Tigers, an impressive bout of effectiveness. If the Giants choose not to take a quarterback with their first pick of the round, they would be smart to consider White as a top option among the rest. Now, of course, a pass rusher could also be a solid alternative, but the skill set he brings to the table might be too difficult to pass up.